Game of Thrones is ending in two years, but George R.R. Martin isn’t done with television yet. In fact, he says an even bigger world is on the way. Martin posted on his LiveJournal Saturday that Universal Cable Productions (part of NBC Universal) has acquired the rights to adapt his long-running anthology series Wild Cards. For those who don’t know, Wild Cards is a series of shared universe anthologies, mosaic novels, books, and graphic novels written by a group of 30 authors (called the Wild Cards Trust) and edited by Martin and Melinda M. Snodgrass. The first novel, Wild Cards, came out in 1987. Since then, there have been 22 installments in the franchise. The next one comes out later this month, and three others are on the way. Martin called the news “exciting” for Wild Cards fans, but those aren’t the only people he’s reaching out to. Much like Game of Thrones was for fantasy, Martin thinks Wild Cards could be that sort of more-mature series for comic book fans. 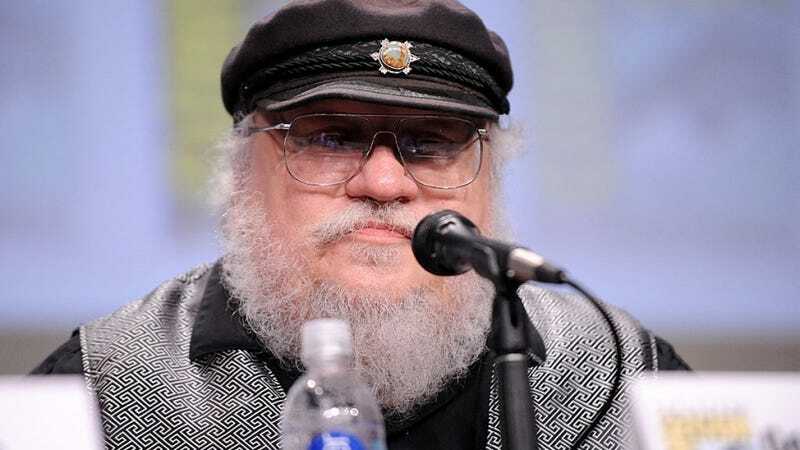 No word when the series would start being developed for a network, though Martin hopes it’s in “the next year or two.” Martin said he won’t be personally involved with the production of the series, given his ties to HBO and commitment to finishing that damned The Winds of Winter book. However, he said co-editor Snodgrass is signing on as executive producer. Clarification: The article originally said the virus killed 90 percent of the population.